The Taste of Bluffton started in 2013 with a street festival designed to promote local restaurants and caterers by providing a sample of their tastings to the public through a festival. Since then, the festival has gained in popularity and size and has become a regional event. 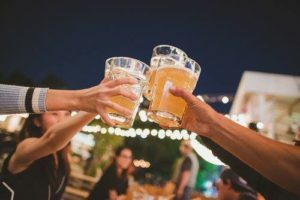 In 2019, we have partnered with Jesse Blanco, the Savannah Food Critic and host of the popular television show “Eat It and Like It.” This years festival will expand to a full week from April 7-13, 2019. 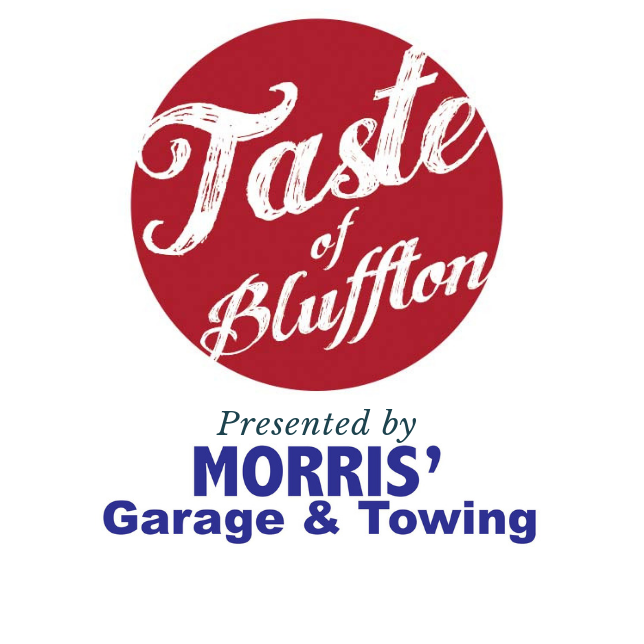 TThe Taste of Bluffton is presented by Morris’ Garage & Towing of Bluffton. a tapas style, semi progressive, event featuring some of the best chef’s in the area. Come for an evening of fun times as we travel around Hampton Lake and sample some great food and wine pairings in beautiful custom homes along the lake. This event benefits two local charities, including Bluffton Self Help. Tickets are $100 per person. Get tickets here. Purchaser must choose time slot. On Monday night April 8, we officially kick off Bluffton’s Restaurant Week with a special event at Pour Richard’s, one of the area’s best and most popular restaurants. 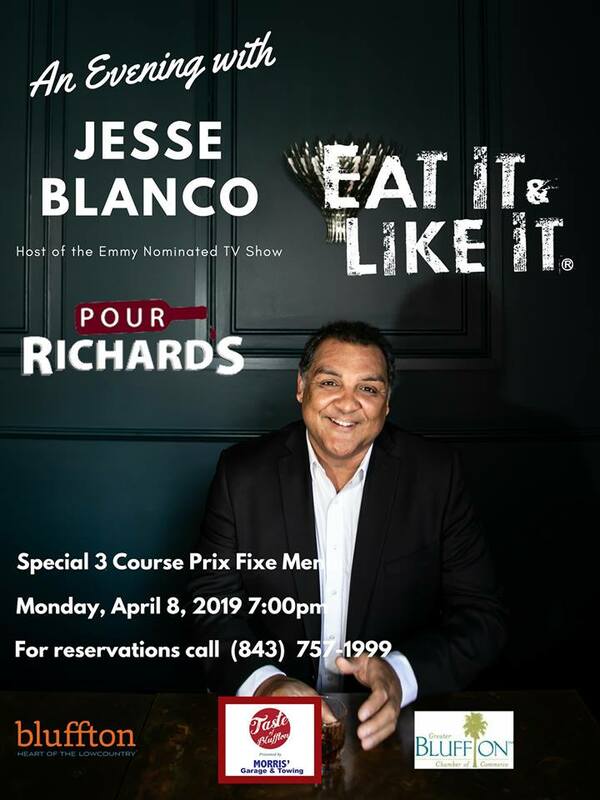 The host of the Emmy-nominated show “Eat It and Like It,” Jesse Blanco, will join in on the fun talking food and taking questions throughout the evening. A special prix fixe menu of three courses is $40 per person. 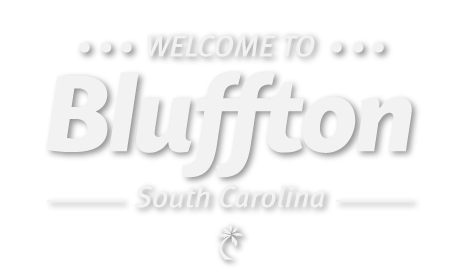 The first annual Bluffton Restaurant Week is April 8-11 and will celebrate Bluffton’s best in food. Specials and prices will only be offered this week, so don’t miss out! Participating restaurants are Olive and Fig, Hog’s Head Kitchen, Buffalo’s and Octagon Porch. Join us Friday, April 12 from 6-9 p.m. for a night under stars, enjoying live music and noteworthy beers from your favorite local brewers. Featuring specials from Southern Barrel and Bee-Town Mead & Cider, as well as a special custom-made brew from Salt Marsh Brewery. All proceeds from the night will benefit Bluffton Self Help. Cost is $15 per ticket and includes one beverage. On April 13, the celebration wraps up with one of the biggest parties of the year on Saturday, April 13th. 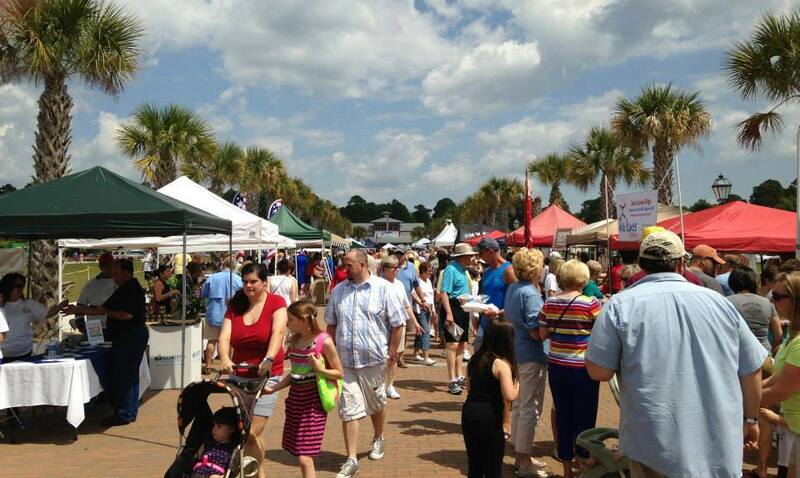 Calhoun Street in the heart of Old Town Bluffton is converted into a street festival. Vendors from across the region are on hand to offer taste of their menus. Candy to Crab Cakes, Shrimp, Oysters, BBQ and much much more. It’s the best way to sample your way through Bluffton’s Best! Event is 10 a.m. – 5 p.m. Cost is $10 per ticket for those 21 and over (includes one beverage). Ages 21 and under are free. We are so excited to see this festival grow and even more excited that we get to share it with you!